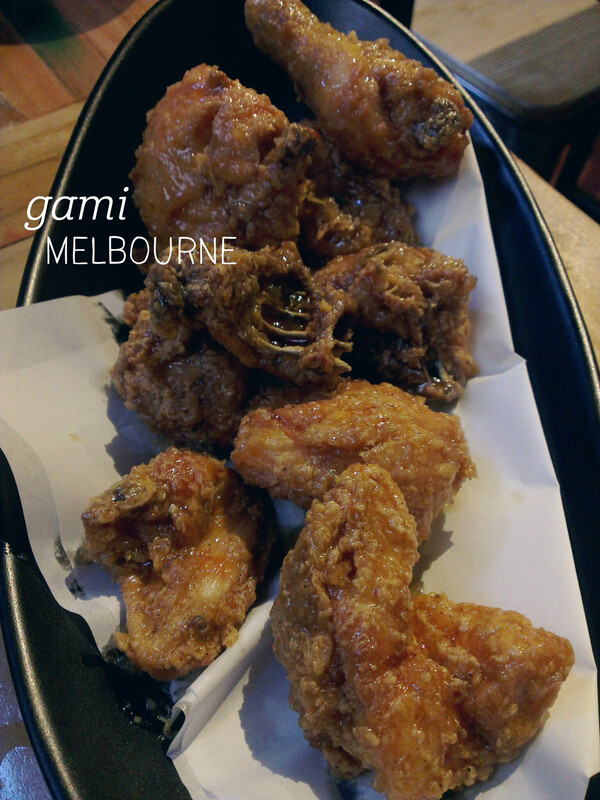 Having some Greek heritage, I was curious to try George Calombaris’s take on the cuisine whilst in Melbourne. The Press Club has been transformed into the more relaxed Gazi, which has a bold menu, including souvlakakias and fries with fetta that literally every table seemed to order. I started with the chicken souvlakakia ($11), with onion, mustard mayo, chips and parsley. Whilst I found the bread a bit dense, everything else about this was perfect. I loved the charred, smoky, tender chicken, which was included in generous quantities for the price. I loved the thin chips and the plentiful mayonnaise and the parsley that brought a waft of tabouleh to the whole thing. I loved the casual, hands-on experience of enjoying this delightful wrap. Mum ordered the 400g baby snapper ($28), which was an impressive whole fish we ended up sharing. The walnut crust on the outside was utterly divine, and the snapper meat just melted in your mouth. We enjoyed the slower pace of working our way through the fish, and greedily lapped up every last morsel on the plate. 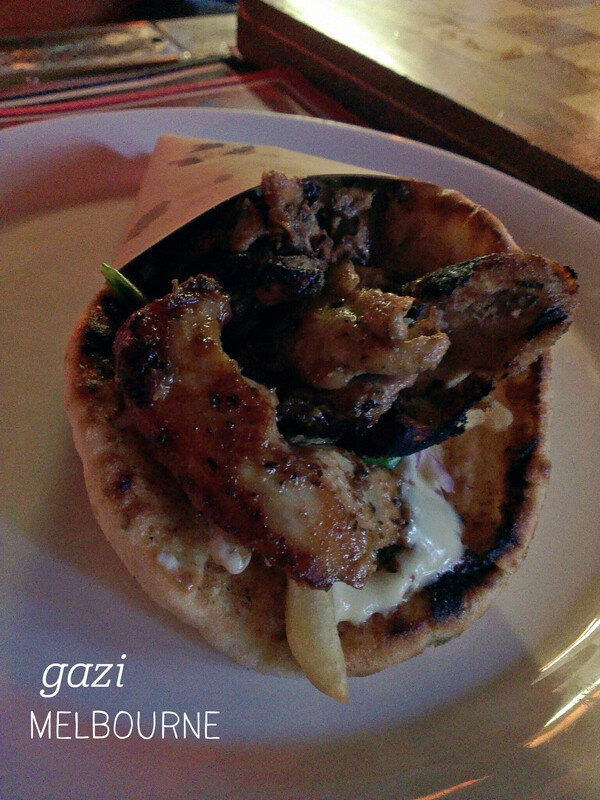 With equally good service and food, Gazi is an affordable, fun, tasty must-visit for any Melbourne trip! 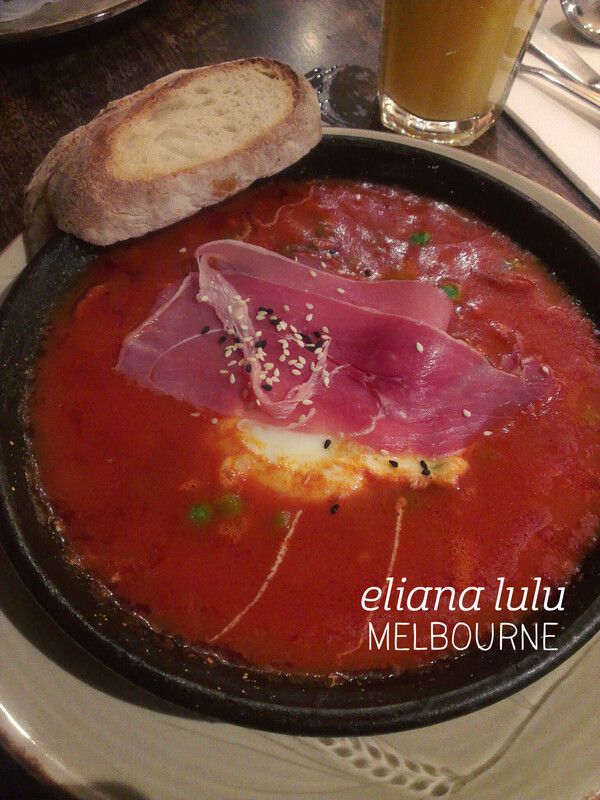 Despite the odd name, Eliana Lulu lured Mum and I in with its cozy buzz on a chilly Melbourne morning. We managed to snag a table against the wall, which was perfect for people watching. We both started out with fresh orange juices, which came in giant glasses and were beautifully sweet. We also both ordered the same thing, wanting a hearty, warming breakfast – the Spanish eggs ($16.50), with poached eggs in a chorizo, jamon, pea and tomato ragout. Served in an iron pan, the portion was huge and accompanied by two slices of thick bread – perfect for dipping. The eggs were perfectly poached and oozed into the ragout. I was really impressed by the quality of the chorizo and the jamon – these were clearly high grade meats and they shone amid the simple ingredient mix. The tomato ragout was exactly what you want on a cold morning – rich and well-seasoned – the kind of dish that warms you to the bone. Neither of us talked very much as we ate – a sure sign of excellent food – and Mum deemed this her favourite meal of our whole trip! Yum, yum, and yum. When I saw on Instagram that Doughnut Time, of the delightful Vegan Fox doughnuts, was offering a new flavour with an equally fun name, I couldn’t help but stop by. The Melon Degeneres (get it?) 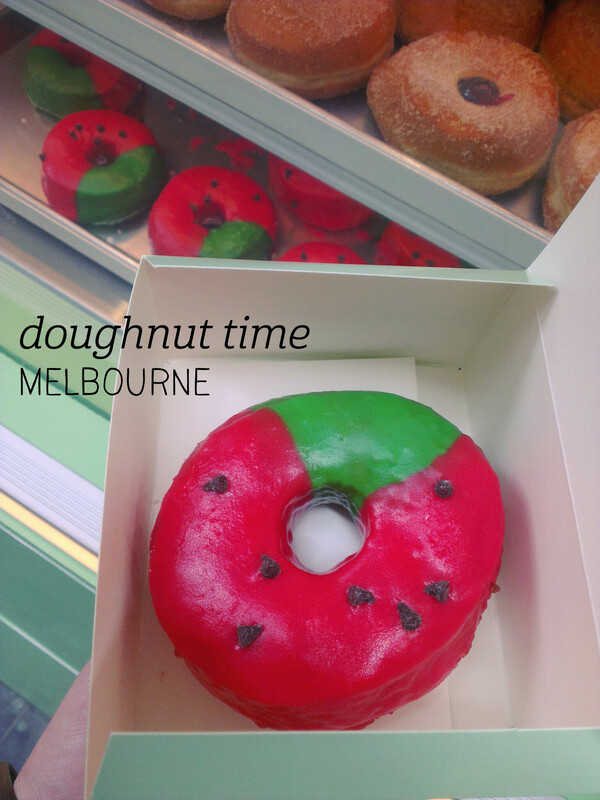 ($6) is exactly what it sounds like – a vibrant doughnut iced with a watermelon flavour and dotted with cacao nibs. 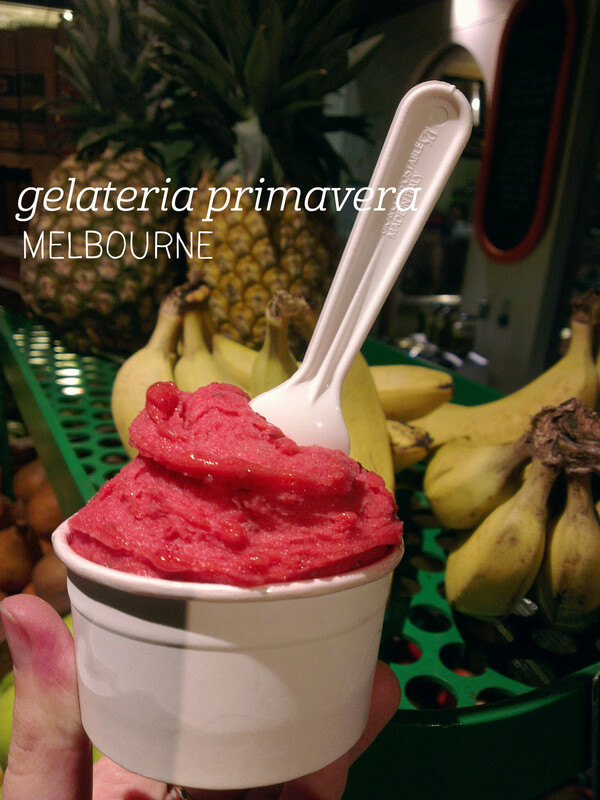 We lined up at the cute Degraves Street shopfront, eyeing off all of the delicious, temption options – but no, we stuck to the mission. We actually carried this one around for a bit before eating, which may account for the oozy nature of the icing by the time we got around to eating it. The main feature of these doughnuts is that the doughnut itself is light, delicious, and not oily at all. This flavour was no exception to that rule, the icing hiding a perfect, tasty doughnut. Unfortunately, I found the watermelon icing a bit artificial, especially compared with the lovely vegan chocolate on the Vegan Fox. Yes, you can definitely identify the flavour as watermelon, but the sort of lolly ot candy watermelon that doesn’t quite do justice to the fruit. The cacao nibs added a nice touch, with a bit of textural contrast. I’d probably try something else next time, but I will be back. Hello, souva of my dreams. Greek food isn’t really a big thing in Canberra, so on this visit to Melbourne it was near the top of my list. 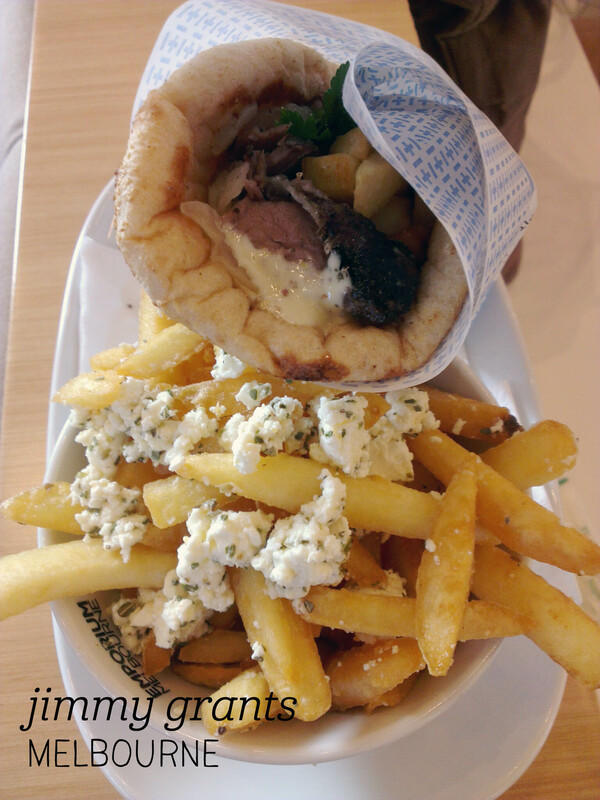 I stood in queue at a busy lunchtime and ordered the Mr Papadopoulos ($12.5), a souva with lamb, mustard aioli, chips, onion and parsley, with a side of chips ($4.50) served with fetta and oregano (swoon). The food did take a while, but was clearly cooked fresh, and served nicely for dine-in enjoyment on an Emporium plate. I must confess, this souva had the nicest, softest pita wrap of any souva I’ve had (including the one at Gazi), and it wasn’t overly dense. That left me free to enjoy the melt-in-your-mouth, smoky pieces of lamb, which were plentiful and utterly divine. The parsley and onion added a tabouleh-esque touch, and the chips within were great, although not quite as great as the side of chips. Oh my, I was so full from the souva (which I couldn’t finish), but I kept shovelling those chips in. Yum. The fetta was lovely and salty, the chips crisp on the outside and fluffy on the inside… A very filling and very tasty lunch. Greek food craving satisfied. Shimbashi is a favourite of mine – they offer consistently authentic quick Japanese food, although I must admit, I do have a ‘go to’ order that I pretty much always pick. This visit was no exception – we stuck with the teriyaki salmon set, which includes quite a decent-sized bowl of teriyaki salmon on a bed of rice, plus a plate of soba or udon served either hot or cold. The teriyaki sauce on the salmon isn’t your average out-of-a-bottle sauce – it’s sophisticated, having just the right amount of sweetness without being too much. The salmon is perfectly cooked into heavenly flakes, and the Japanese rice is so tasty with the extra sauce. The soba is handmade, so has a nice springy texture, and the soba sauce is again just right – well-balanced and not too salty. I particularly like the tempura bits you are served to scatter on top, and the spring onion adds great flavour to the dish overall. 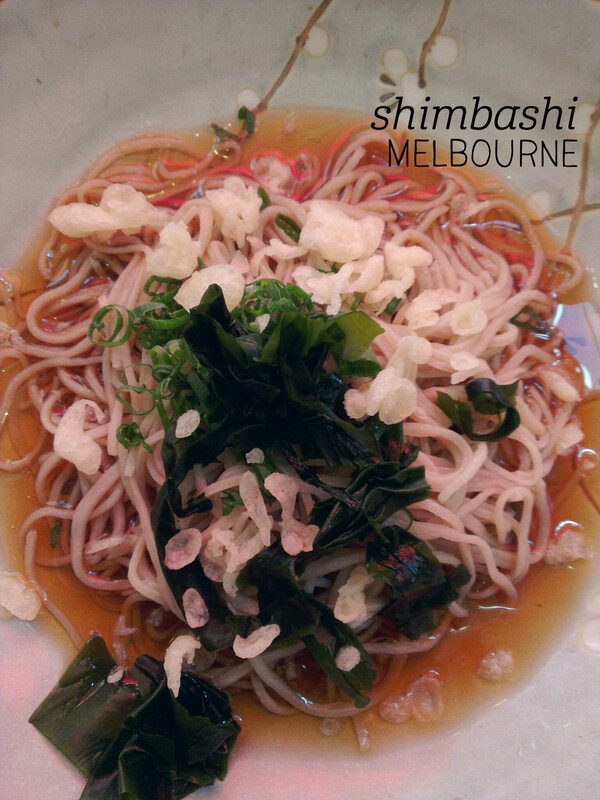 There’s a reason I keep ordering this dish – it’s great value, has great flavour and takes me back to Tokyo. What more could I ask for?